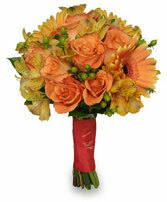 Call for color choices available in a wide variety of colors. 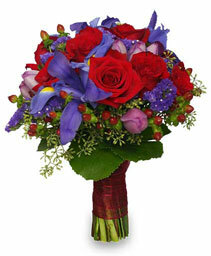 Hand tied mums, carnations, roses, and salal. 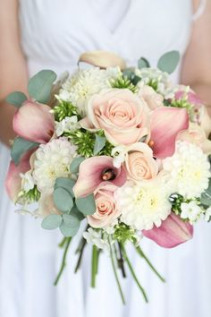 A hand tied bouquet of pink callas, cream football mums, blush roses, and seasonal greens.